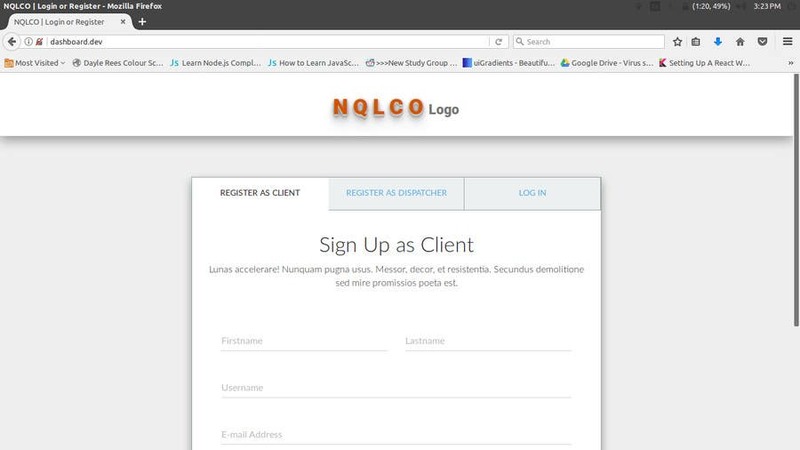 These Designs includes the redefined pages where Users can login and sign up(as given in the previous design) and also the "Select Dashboard Page". I am currently working on the main dashboard page. I would like your feedback so I could continue straightaway. My finish work is in HTML, CSS, and SASS. I use SASS so the styles can be much more configurable when you want to implement the design; So as to safe headache, and changes to UI can be done in a jiffy. P.S: As mentioned earlier sir, I am yet to work on the main Dashboard page. I also program in sever-side languages, which makes me a full-stack. Okay. But however sir, What's your comment about the layout? Wouldn't take me much to re-adjust my color-scheme to FLAT.